I have managed to resist buying too many vintage 78s just for the label artwork, others I’m sure are documenting this area of music history methodically and I have a hard enough time justifying room for album sleeves. But this quartet turned up in a pile of obviously early discs at a local antique shop recently and I was taken by the way the Winner label design changed over the years (there may be more out there). Winner was produced by Edison Bell from 1909 (despite a patent date of 1912 on later releases) and the colour design came first. The jockey is holding a record out as he reaches the winning post, which itself appears to be topped by another record. It’s a mad concept and the illustration is very old fashioned, almost Victorian, with the splayed leg stance of the horse already proven to be an impossibility thanks to Muybridge’s photographs. 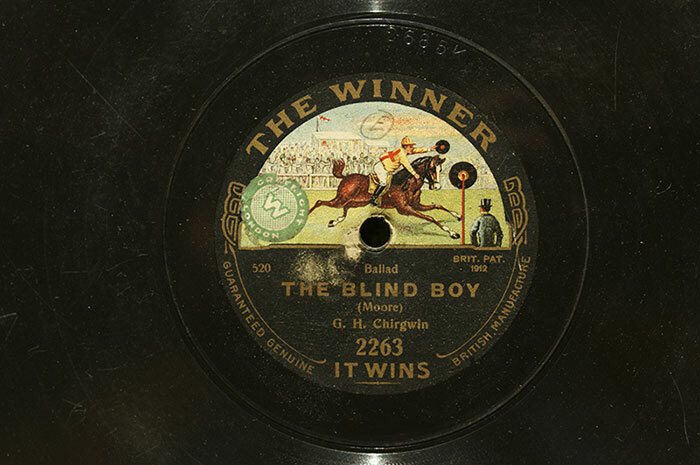 The label then changed to a single colour design with a more realistic illustration, if the sight of a jockey riding along holding out two records can be said to be realistic. 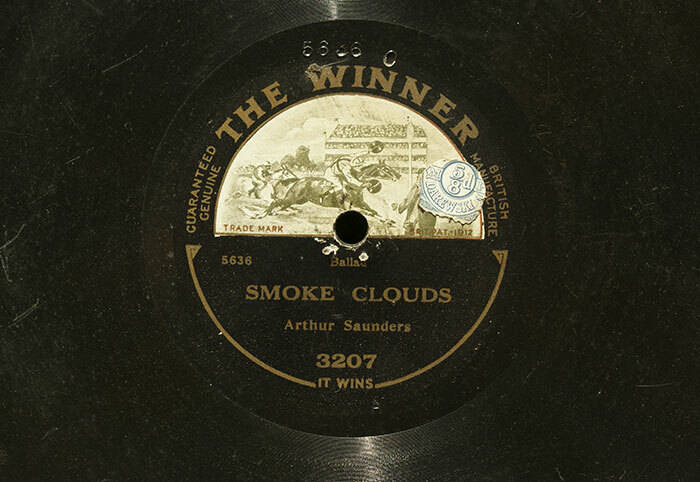 This label is circa 1918 while disc three replaced it only a couple of years later around 1920. The illustration is in colour once again but with all the background detail of the race track and stands dropped. 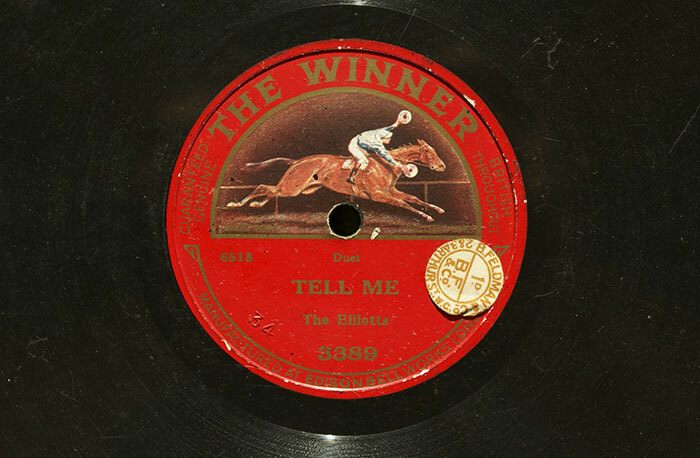 Finally the same drawing was reduced to just a black and gold line version for the last label design, which dates from around 1924 when the name changed to Edison Bell Winner. 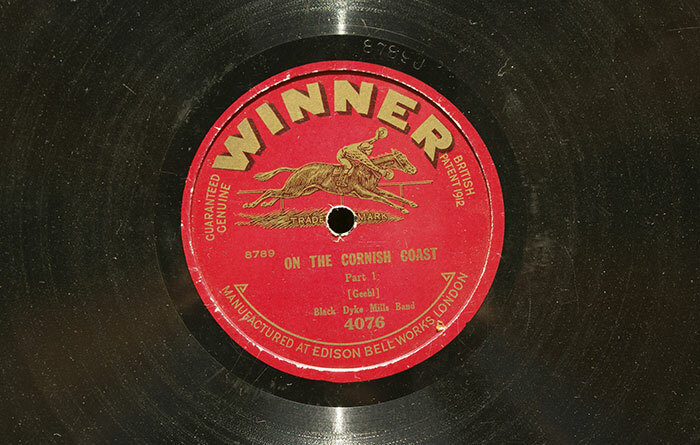 Decca purchased the company in 1933 but ended the Winner label in January 1935. Musically much of the ‘quality product at a low price’ catalogue was issued under license from America and was popular dance and vocal material.